When I dream, it looks like the Target Dollar Spot. What’s sad is I’m not even kidding! You walk in, needing only toilet paper or shampoo, and you walk out the proud owner of a desk organizer, gold arrow pushpins and 8 packs of tissue paper you obviously need. Or at least, that’s what your brain high on Target air wants you to believe! 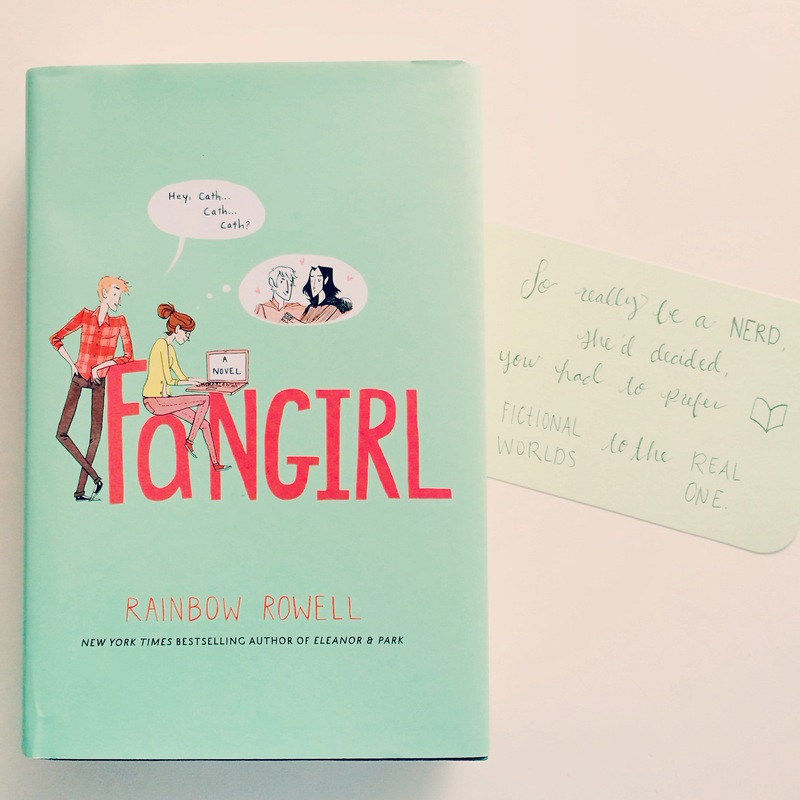 This past weekend, I fell down the Dollar Spot rabbit hole, and four beautiful notepads and pen packs later, I emerged in the book section, staring straight at the Target Exclusive Special Edition Fangirl. But try as you might, you definitely can’t tell me that those pretty pencils and chic notepads don’t match perfectly with my brand new shelf candy! I’m weak when it comes to the newest pen duo or Thank You note design, but I wouldn’t have it any other way. So what are you waiting for?? Get out there and fall madly in love with the Dollar Spot’s office stationery! Happy Reading! 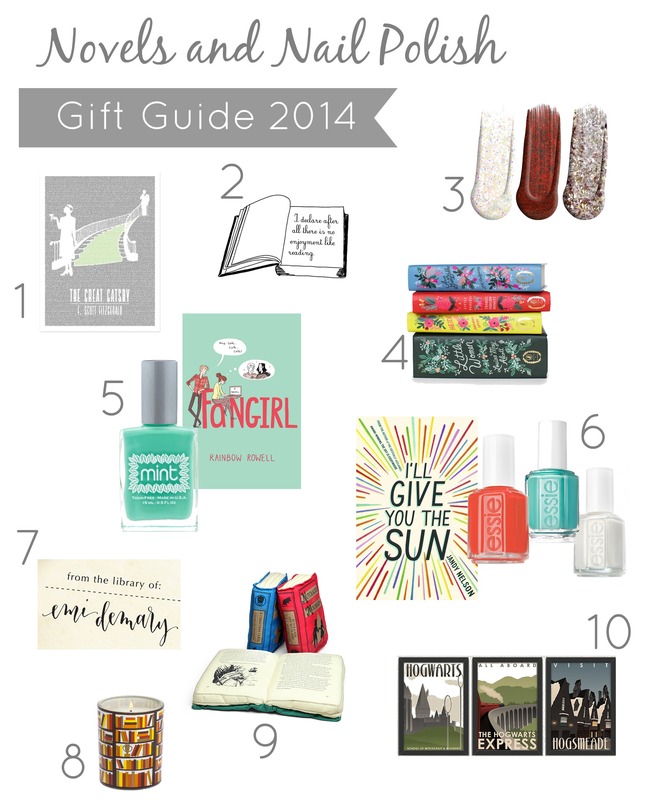 What is a niche blog without a holiday gift guide? Not much, I can assure you! 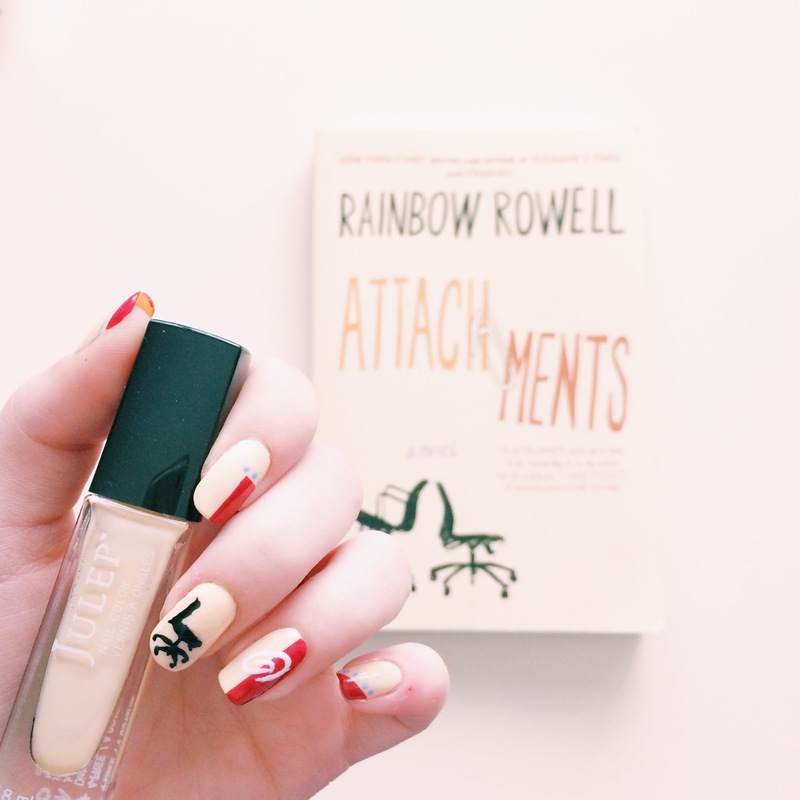 I’m happy to introduce the very first Novels and Nail Polish Gift Guide for book worms and polish lovers alike. ENJOY! Litographs The Great Gatsby Book Poster ($24) – A good book is a work of art, but this takes it to a whole different level! The Litographs book posters use the text of classic novels and turn them into a gorgeous, visual display of the book. Grab this for the artsy-fartsy book nerds in your life! Litographs Temporary Book Tattoo ($5/set of 2) – I adore these temporary tattoos from Litographs! I joined the lucky group of backers for their tattoo Kickstarter campaign, and am now a part of the world’s longest temporary tattoo chain. These tattoos are made to be entertainment quality, just like the ones makeup artists use in the movies and TV shows. 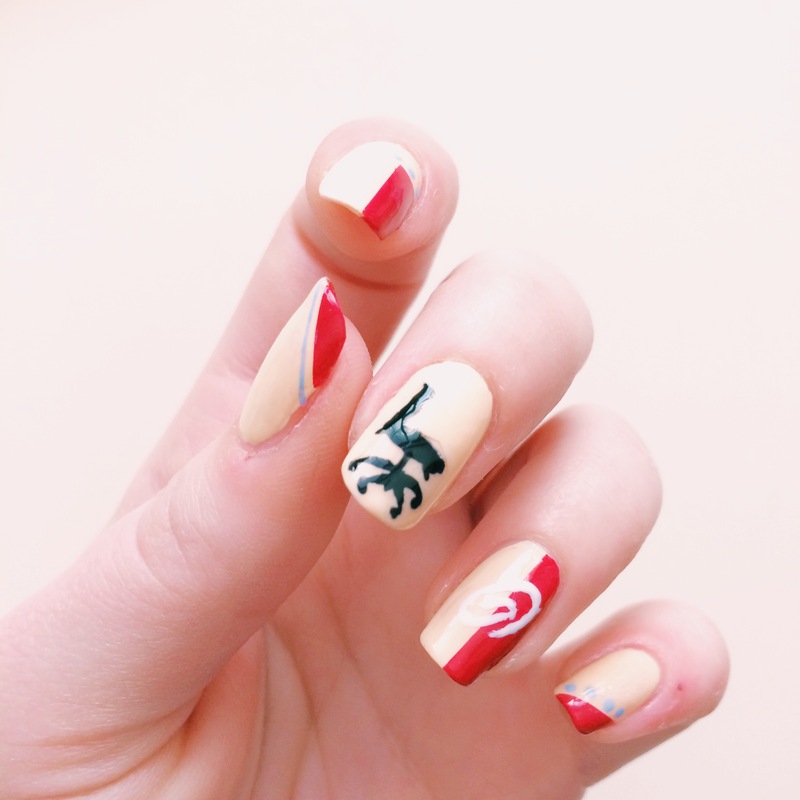 They apply easily, and if you’re a commitment-phobe, you’ll finally be able to live out your tattoo dreams! 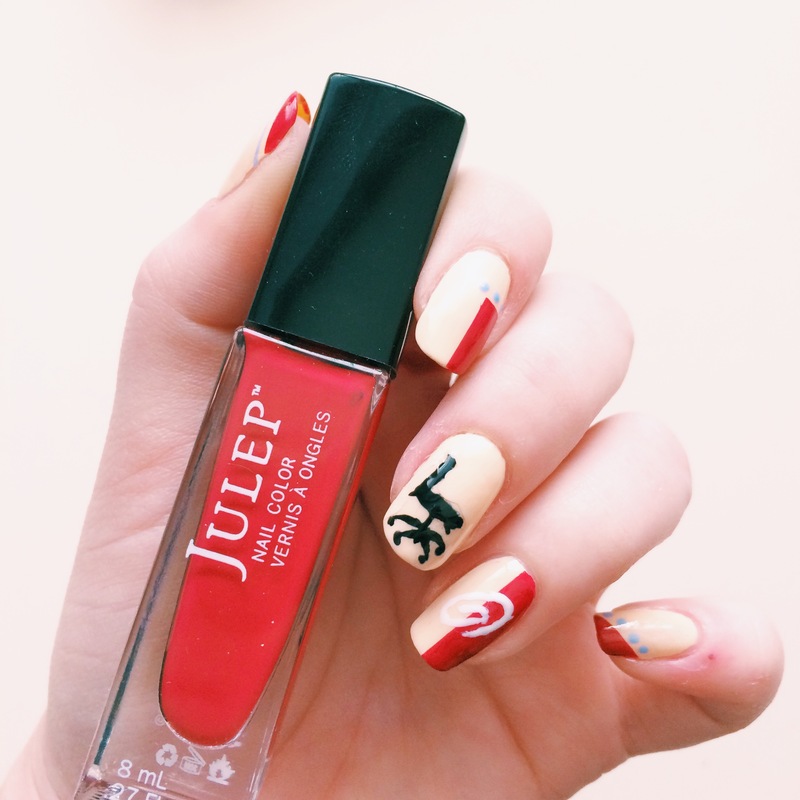 Nails Inc Winter Wonderland ($29) – There are two main reasons I love NailsInc. 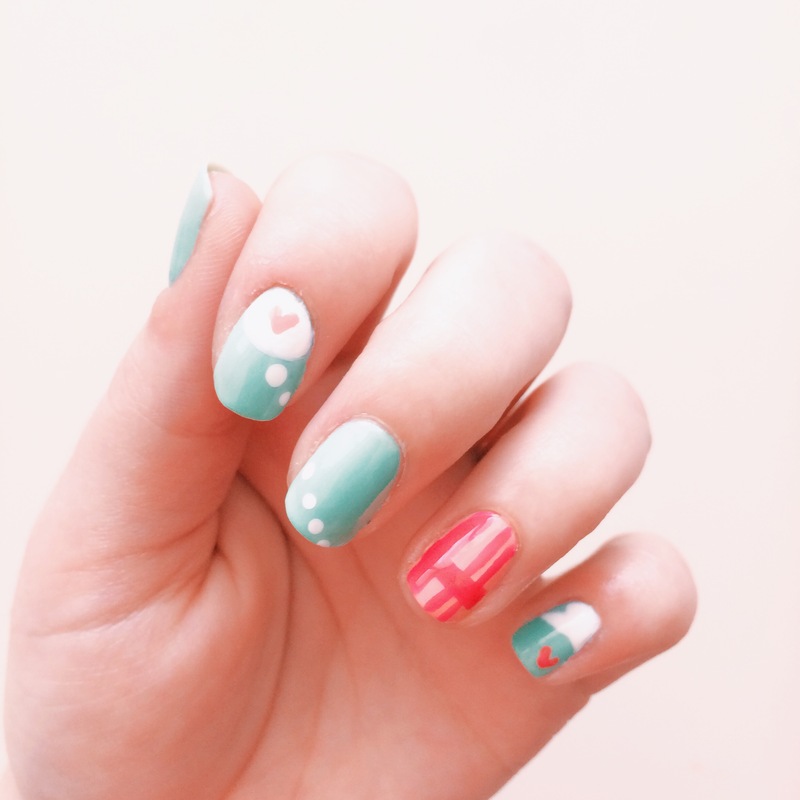 One, the polishes apply beautifully. Two, their new bottles are absolutely gorgeous! I definitely bought this set for myself on Black Friday, and it is perfection for the holidays! For ladies that want to sparkle and shine their way through December, these are a must! Rifle Paper Co. Puffin in Bloom Collection ($16 each) – Those who are familiar with my previous post about cover redesigns know my love for the Anna Bond designed covers runs deep! 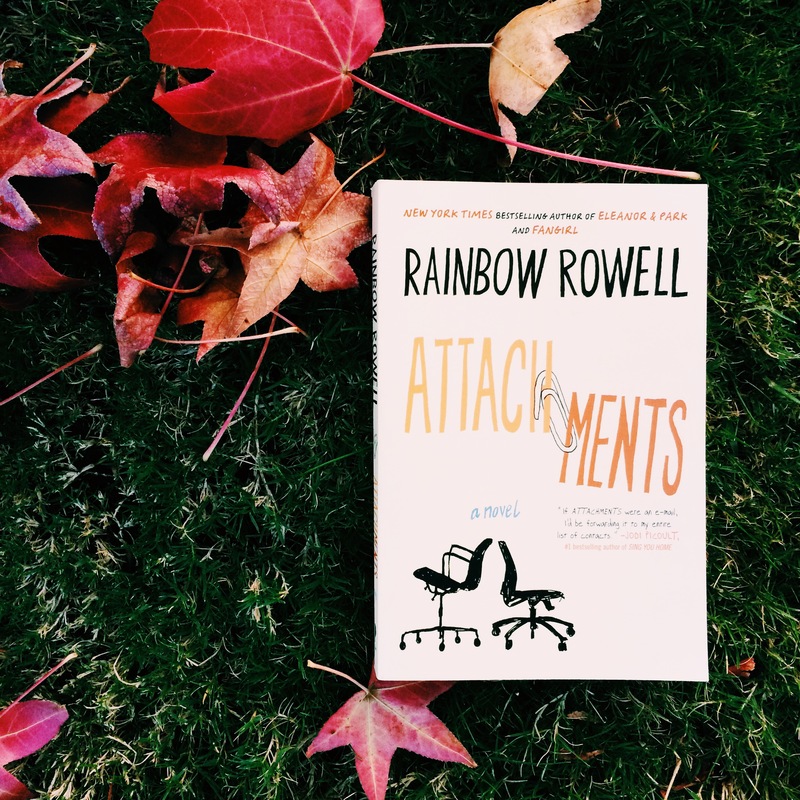 Whether you’re looking for shelf candy or actually want to read these classics, they’re a must-have for any serious book collector. 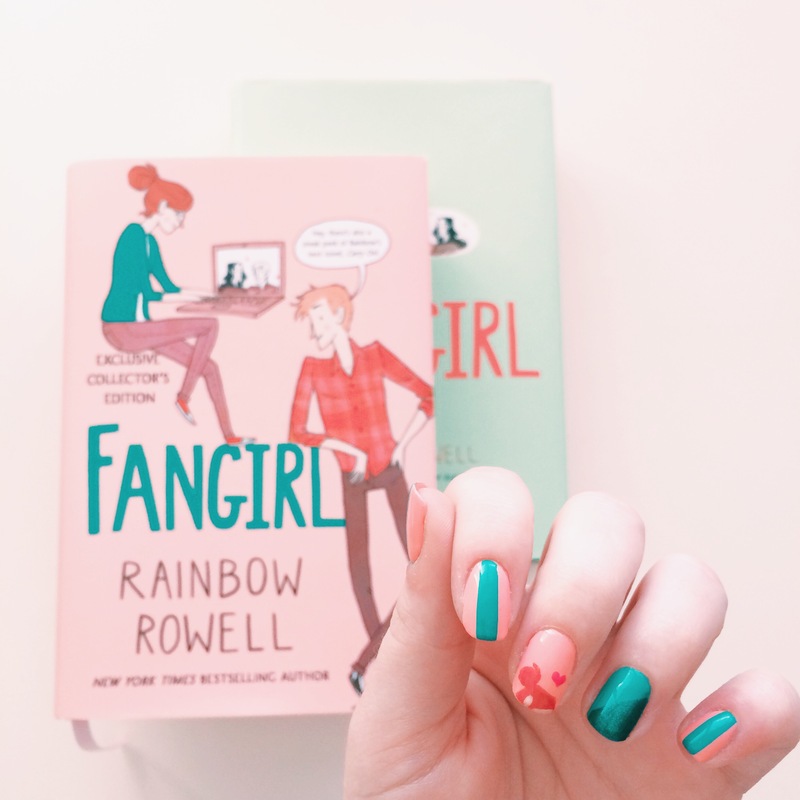 Fangirl ($19) + Mint Polish in Original Mint ($12) – If you love YA Fiction, chances are you love Rainbow Rowell, or have at least heard of her. 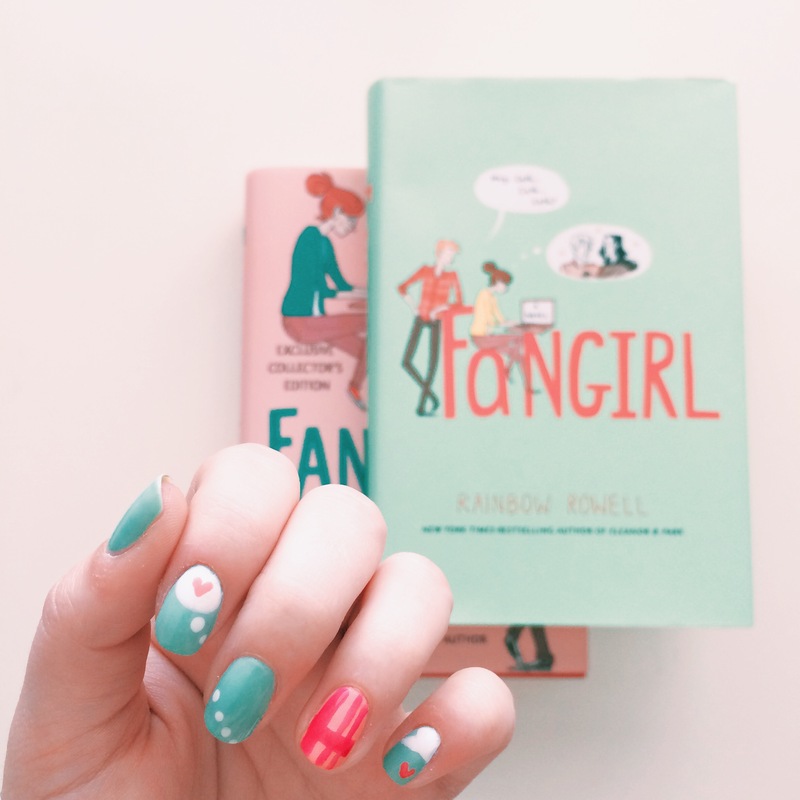 She’s written a handful of incredibly popular and moving stories, and Fangirl was the first, and favorite, I’ve read of hers! 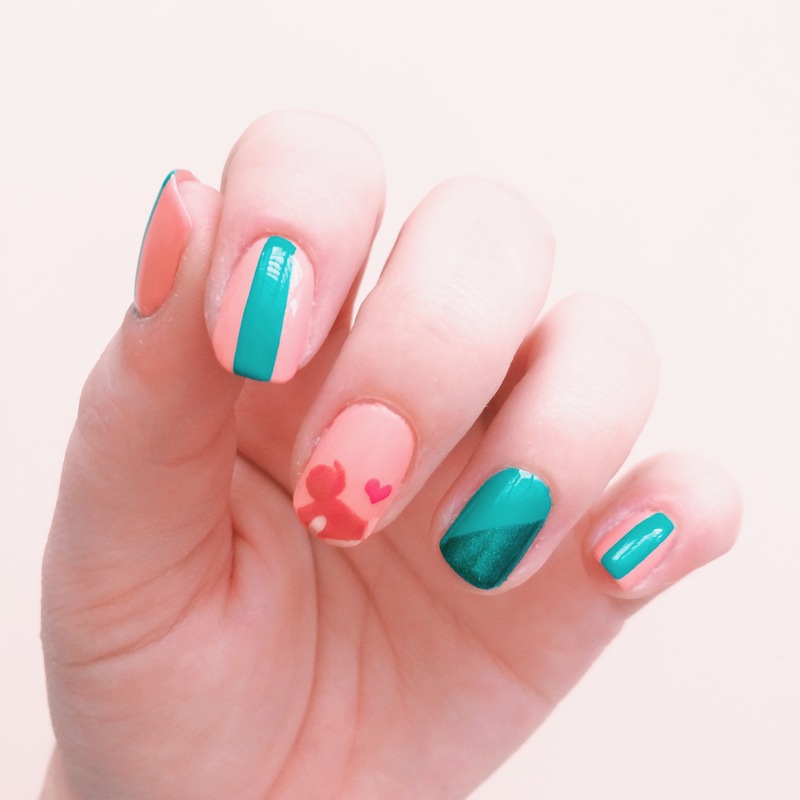 The cover is the perfect mint, so it’s no surprise that I paired it with Mint Polish’s Original Mint! I am a huge fan of this brand and their products, and if you’re going for mint, why wouldn’t you grab it from a company who shares the name?! 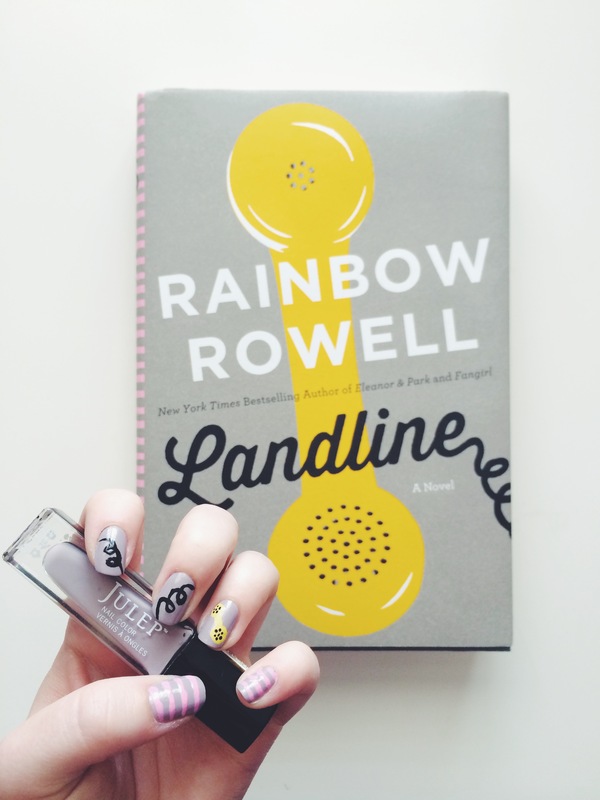 I’ll Give You The Sun ($18) + Essie Polishes in Capri, In The Cab-ana & Blanc ($8.50) – I’ll Give You The Sun by Jandy Nelson was one of the most highly anticipated YA novels of the fall. It’s two stories in one, each half told by a brother and sister. 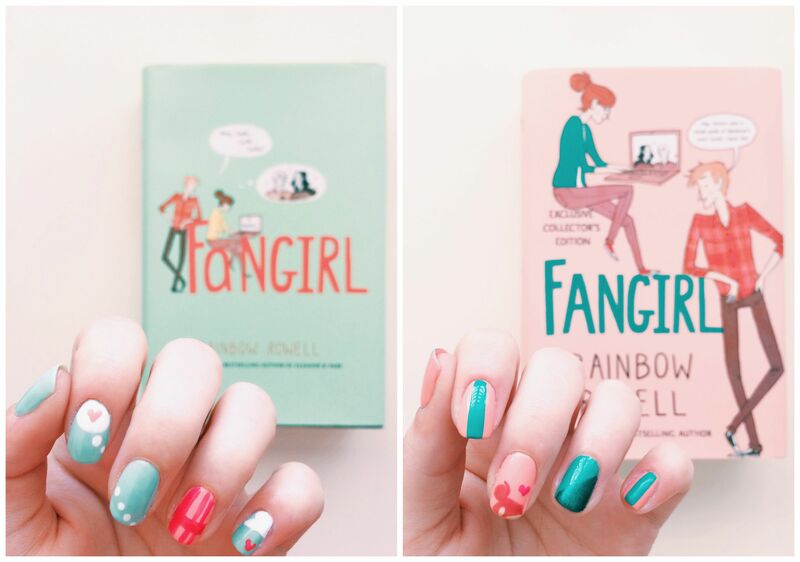 It’s high on my TBR list, especially because I already have a couple of great ideas for a cover-inspired manicure! 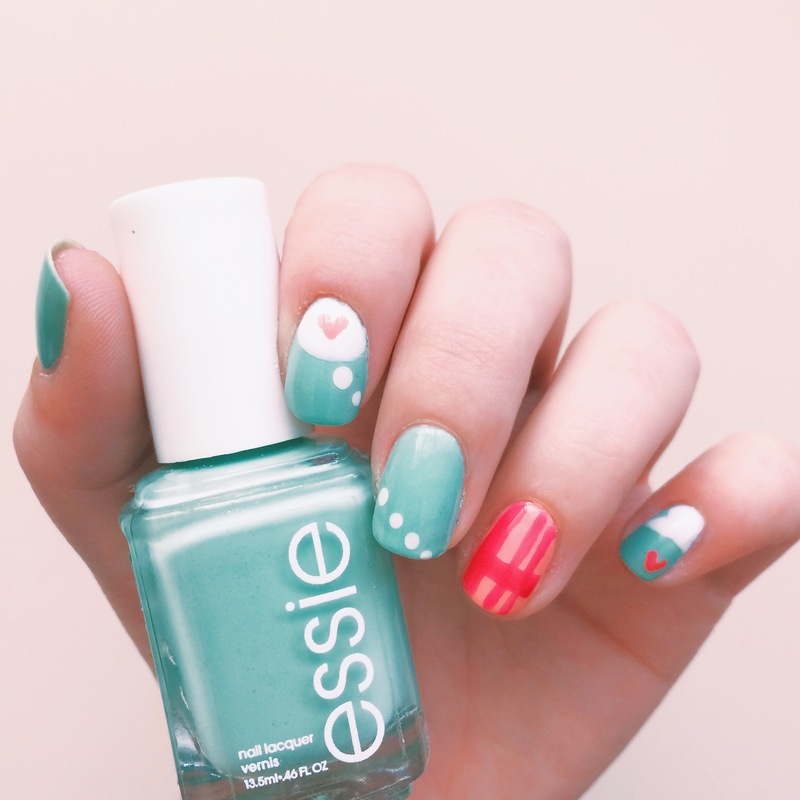 I paired Essie polishes with it because the brand is one of my go-to lacquers. 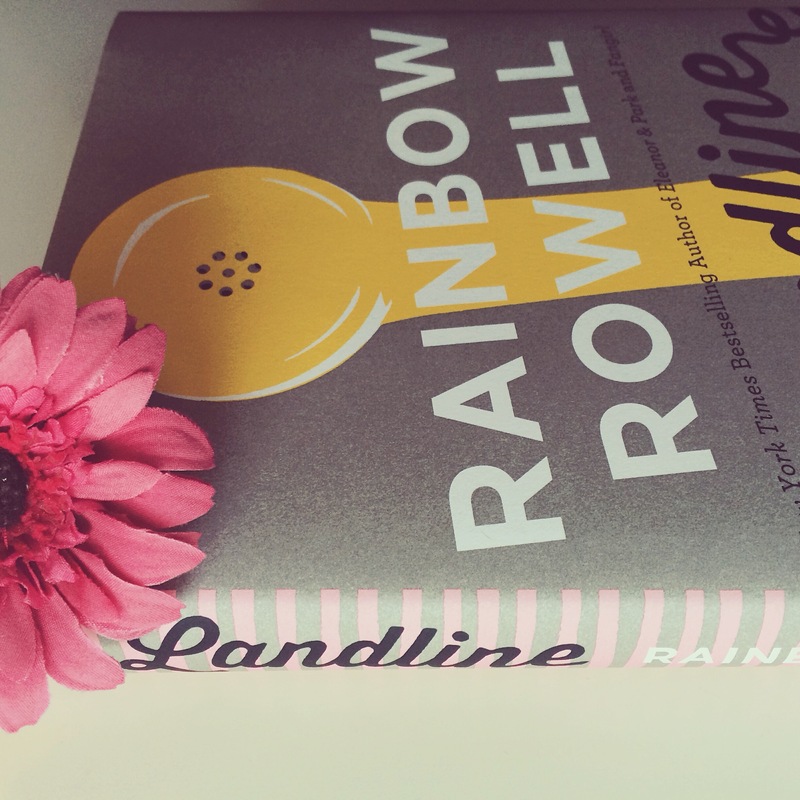 White, aqua and orange effectively capture the essence of the cover, without looking like a circus! AngeliqueInk Custom Book Stamp ($40) – I received this stamp for my birthday six months ago, and it quickly became one of my prized bookworm possessions. The simple type paired with the custom hand-lettered calligraphy embodies everything I love in design. Stamps like this will bring the biggest smile to any book hoarder in your life! R. Nichols READ Candle ($45) – How many people would raise their hand if I asked who loves the smell of libraries and old books? A TON, I’m sure. If you’re one of those bibliophiles, this beautiful book candle will be the perfect addition to your reading nook! ThinkGeek Book Pillows ($10) – Pillows are important, but they’re not all created equal. That’s where these ThinkGeek book pillows come in! 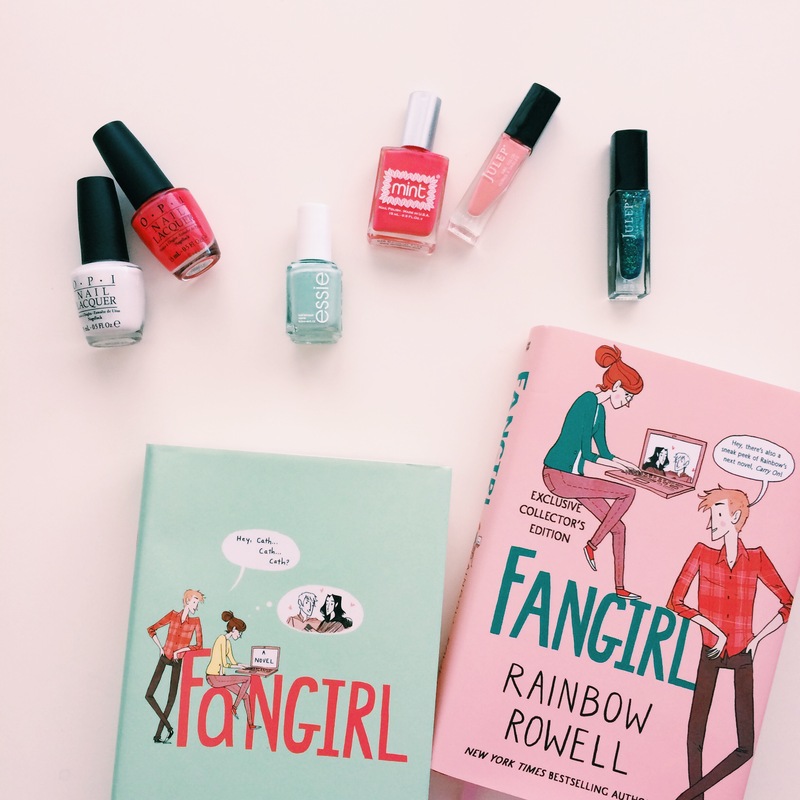 This set is their holiday collection, and they’re completely and totally necessary for your next all-night read-a-thon! Hogwarts Travel Posters ($15 each) – Harry Potter. Minimalist travel posters. Enough said, my friends. Tell me, what’s on your Christmas list? 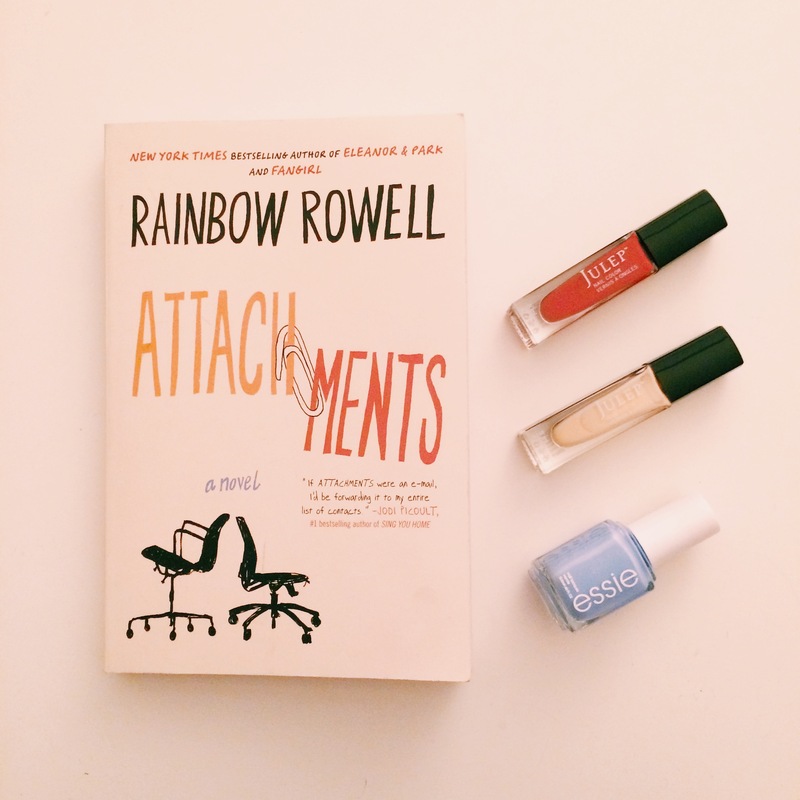 I’m always looking for more book/nail polish things to add to my already massive collections! Happy Reading! Once upon a time, a fair maiden lived in the enchanted southern region of California. 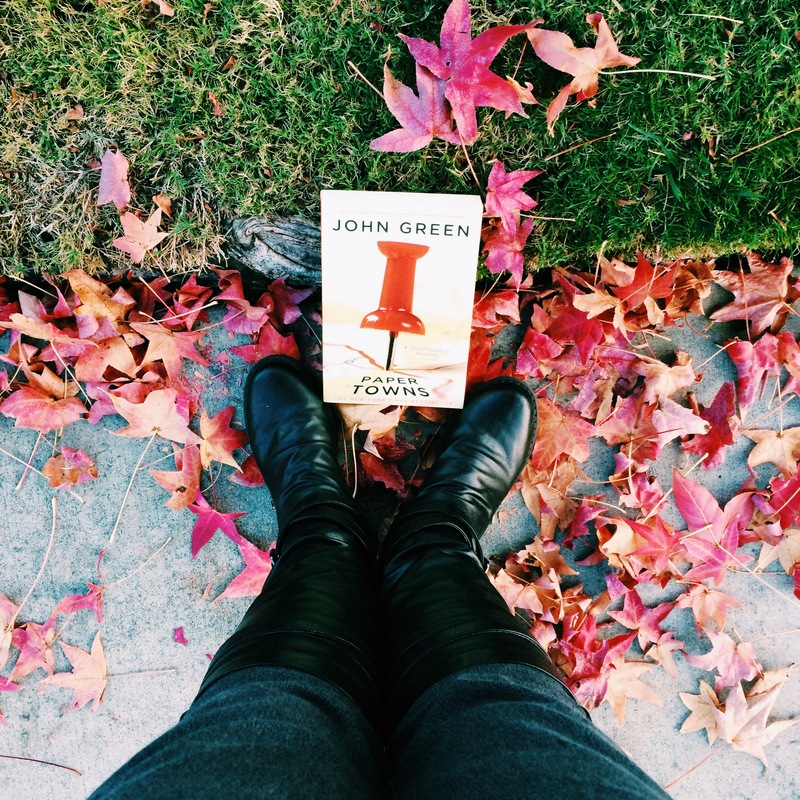 She longed to see something she’d only heard tell of in her mother’s stories: Autumn. You see, where she lived, there was only one season: warm. But she knew there was a way to make her dream a reality, by making the pilgrimage to the mystical Tree of Fall. And you know what? She did just that, and there she was rewarded with leaves of scarlet, gold and orange. She was filled with joy and contentment , and she lived happily ever after. The ‘once upon a time’ of that story was this past weekend, the magical princess is me and the ‘Tree of Fall’ is the ONLY tree on my street that makes it look like November. All I wanted was a few pictures of my new TBR list additions with the pretty fall leaves, but that’s a tall order in SoCal. All of the damn leaves by my house are GREEN, just as the sky is still blue. But I found the perfect tree, which allowed me to take the perfect pictures. 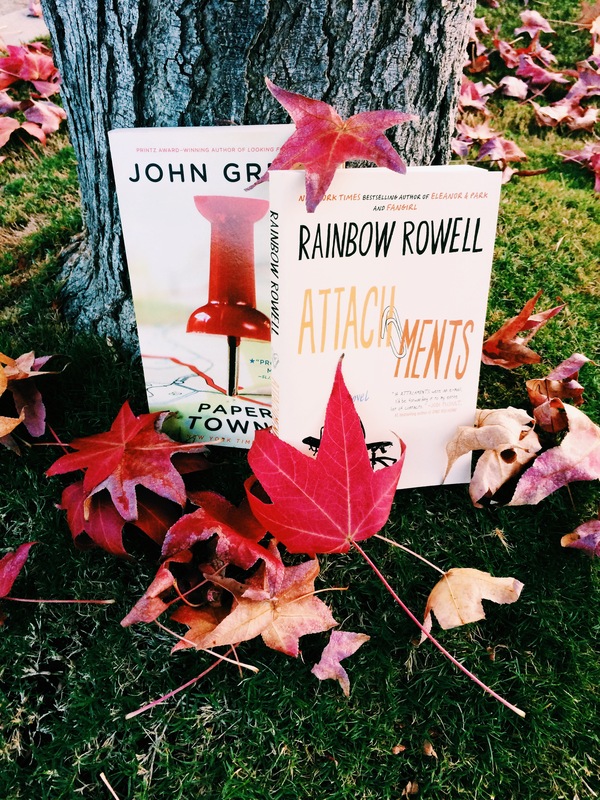 Have you read either of these contemporaries? I’d love to hear what you think of them! Happy Reading!